Whilst dogs and cats are the most widely kept pet animals in the UK, the competition amongst pet suppliers to feed these 16 million animals is intense. With another 50 million pets ranging from fish, birds, reptiles and small animals such as rabbits to also be fed, it’s no wonder that this is big business. Arden Grange, Burgess, Eukanuba, James Wellbeloved and Royal Canin are just a few of the pet food suppliers that help to keep the nations pets in top condition through well balanced and nutritional food. In many ways, these companies are just the tip of the iceberg in terms of pet requirements. 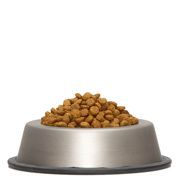 Many other suppliers make a huge number of different feeding bowls, cages, collars, grooming products, or beds. An increasing demand for doggie apparel has created a large number of companies producing these products. Puchi Designer Petwear is just one of many pet suppliers that adapt to this demand on a worldwide basis. Whatever type of pet you own, there’s a company that can supply you with a range of accessories to suit. Whether customers purchase from a traditional pet shop or through an online retailer, many pet products suppliers have sophisticated supply chains that ensure these retailers are kept well stocked. Millions of pounds are spent annually by firms promoting their pet products on TV, newspapers, magazines and social media in order to keep their important brand names in front of the pet product buying consumers.